Alan is a Senior Lecturer at London South Bank University (LSBU) and a Senior Fellow of the Higher Education Academy. 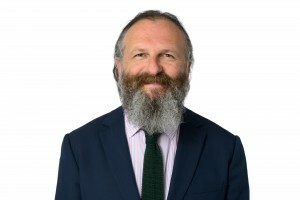 He has been Director of University College London’s Centre for Access to Justice and he was the founding Director of the LSBU Legal Advice Clinic, a ground-breaking and award-winning student led public drop-in social welfare law advice service delivered in conjunction with local solicitors firms, including Philcox Gray. An expert on live client clinical legal education, he has delivered papers at numerous conferences in the UK and Europe. He is also a very experienced housing solicitor (admitted 1992) with a wealth of experience in both private practice and the not for profit sector. Alan managed Camden Community Law Centre for 18 years, where he also conducted a large caseload of housing and public law litigation in the lower and higher courts, with a special focus on homelessness and defending possession proceedings. He is an experienced court advocate and he has worked as duty solicitor covering the housing possession list at various central London county courts for nearly 25 years. He was on the steering group of the Camden Community Legal Services Partnership and he developed and wrote the Legal Services Commission’s standards for the delivery of publicly funded outreach legal advice services. He has advised the Law Society’s Access to Justice Committee in relation to the public funding of housing advice and litigation.